High school soccer and club soccer are very much similar and still have so many differences between them. It affects the teammates themselves and their ability to play are all factors that fall into this sport. For some, one might benefit more than the other, or help them gain something in a club rather than high school, and vise versa. 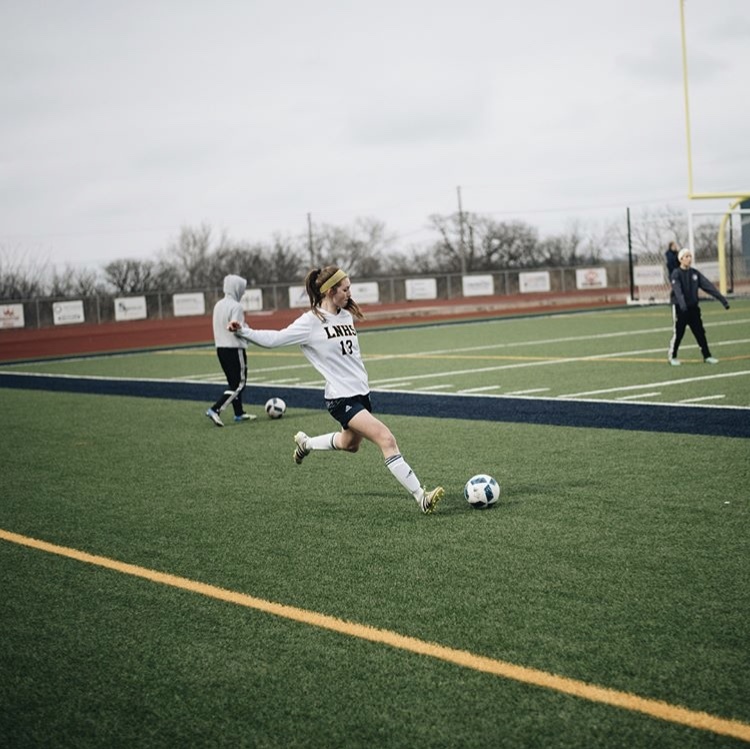 “It’s a lot more fast paced, you’re playing with girls that are the same level or higher, high school has a bunch of different ages but club is all one age and it’s a lot more intense because most of the girls are looking to advance and play college,” senior Hayden Paulson said. While playing both club and high school soccer, serious time management needs to be put in place. “It’s taken up a lot of my time. I’ve had times where I’ve struggled to get my school work done or I’ve missed events, that’s the worst part about it, missing out on high school,” Paulson said. To outsiders, it may not seem like a major difference, but for the players themselves, there are multiple factors that differ between these two sports. “It’s a lot more competitive, a bigger commitment, whereas high school it’s not that important,” senior Hallie Hicks said. With playing both high school and club soccer, there has to be more benefits to one more than the other. “I like club soccer because it’s more competitive but I like high school because its more fun,” senior Chloe Johnson said. With high school slowly coming to an end for these senior girls, could skipping out on a season of soccer affect them in anyway? “I dont think it’ll affect me at all, my position is just reflexes and those don’t really go away,” Hicks said. Excelling in any sport is something all athletes go through, finding what you’re good at, and sticking to it. “I feel like in club I’m better with skills like my footwork but in high school, I excel as a leader,” Paulson said. Encouraging both takes dedication, and time management skills. “If you’re looking to play after high school I definitely say you should play club because it’s what really is gonna get college coaches to see you, but if it’s just for fun, highschool is the way to go,” Paulson said.